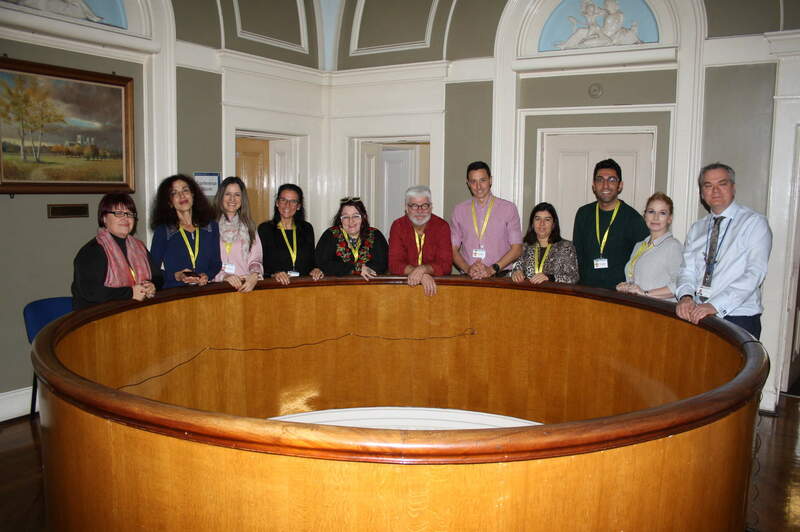 DICE Project C1 Training Activities were held in Jerez on January 2018 from the 15 th to the 19th. All 10 project partners attended, involving 20 teachers and training advisors who have worked together in different tools related to creativity and innovation in education. This meeting has been hosted by partner member CEP Jerez. 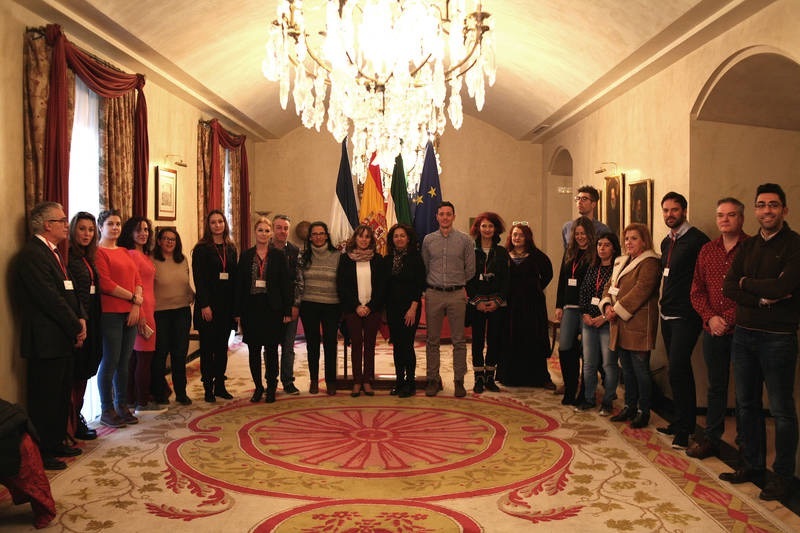 European Union funded project DICE (Developing Innovation and Creativity in Education) has officially started its training activities in Jerez (Spain) from the 15 th to the 19th January 2018. The project, which foresees 6 different modules, has carried out its activities belonging to modules 1 and 2. Teachers and trainers involved in the meeting have been working on The Creative Platform (module 1), which is a process for creative creation in group. This tool can be used for any task in which participant must be creative working as a team. Through the creative process humans develop their ability to be themselves – thus freeing their commitment and ability to participate with all their knowledge, without restrictions of academic, social or cultural character. Lego Build to Express (module 2) has coped a second leg of activities. The use of this tool attempts to enable students to communicate and express themselves effectively. The bricks encourage introspection and reflection and give an equal voice to all students that participate in the process. It enhances students’ creative and critical thinking abilities as it also improves speaking, listening and 21 st century learning skills. Let us remember that this European consortium is made up of five training institutions (CEP Jerez from Spain, VIA from Denmark, MBM from the United Kingdom, Design Thinking from Bulgaria and CCEMS from Protugal) and five schools (Vieldbjerg Skole fom Denmark; CEIP V. de la Caridad from Spain; Millthorpe School from the United Kingdom, Konstantin Velichkov from Bulgaria and AE Henrique Sommer from Portugal). The project is a highly innovative programme aiming to share, develop, test and implement effective practices coping with creativity and innovation and carried out in the field of education. During the 21st and 22nd of November, MIllthorpe School has hosted the first transnational meeting of the Erasmus + project DICE. DICE is the acronym of the project Developing Innovation and Creativity in Education, co-funded by the Erasmus + Programme of the European Union. Institutions in the project are facing different challenges concerning to education as it is fundamental a transformation of education and teacher training to adapt our schools to the needs of the 21st century. This project has been designed with the objective of working on those relevant competences, which enable citizens to flexibly and proactively respond to changes. Problem solving, reflection, creativity, critical thinking, learning to learn, risk-taking, collaboration and entrepreneurship will be the key competences that will be developed in this project. The partnership of this project is made up of ten institutions in five different countries. We have one training centre and one school in five different countries: Spain, Denmark, United Kingdom, Bulgaria and Portugal. The ten institutions have attended the first transnational meeting and have signed the bilateral agreements that describe their cooperation during the 31 months that the project will be developing. During this meeting the partnership has been working on the different plans: management, financial, dissemination, quality and evaluation plans and also in the tools to control the budget. We have also agreed the quality that the training activities and the intellectual output must have and finally we have presented the website of the project and the management tools we are going to use.